You have a clear vision in your head, that perfect carpet for your special room, but you can’t find the right one anywhere. Don’t fret. Having a carpet tailor made to your own specifications is easier than you think and not so expensive either. At Avonvale Carpets of Bath we give you the opportunity to choose from 100’s of classic and contemporary carpet designs and to specify the exact colour palette you want. Your own bespoke carpet for a minimum size of only 20 square meters – it couldn’t be simpler. You select the design and colours, we provide you with a high quality image clearly showing how your custom carpet will look. If you’re not happy, we’ll do it again, until you’re satisfied. Even then, we’ll produce a ‘hand-trial’ of the carpet so you can touch and feel a sample of the carpet before it’s manufactured. Woven wool Axminster carpets, in traditional, floral and plain designs, tailor made to your own specifications. 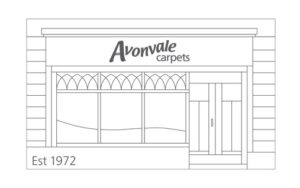 Trust Avonvale Carpets to get it right for you. Pop into the shop, or call us on 01225 427 057.